In bald terms, terroir refers to the soil, climate and topography of a microregion, and pinpoints what makes an ingredient grown in one place taste different from the same ingredient grown in another. But terroir isn't merely rainfall, mineral content, and angles of exposure to sunlight. no matter where we're form, terroir is our cultural and historical link to the land, the expression of the land itself and the people who live there. Defining regions, when it comes to worldbuilding, is a big part of a shift from macro-worldbuilding to micro-building. The food people raise says a lot about who they are and the way they live. Especially in any sort of pre-industrial setting, where a hundred miles of distance could may as well be a world away. The basic staples of domesticatible animals and major crops will only give you so much definition (unless you really go to town in building all new flora and fauna, in which case, I salute you)... but the minor variations of culinary regionalism can give you a wealth of details to color your world with. Then you can even take a basic dish-- say a stewed chicken-- and then add in two or three ingredients that define the region, and you have a traditional regional dish. 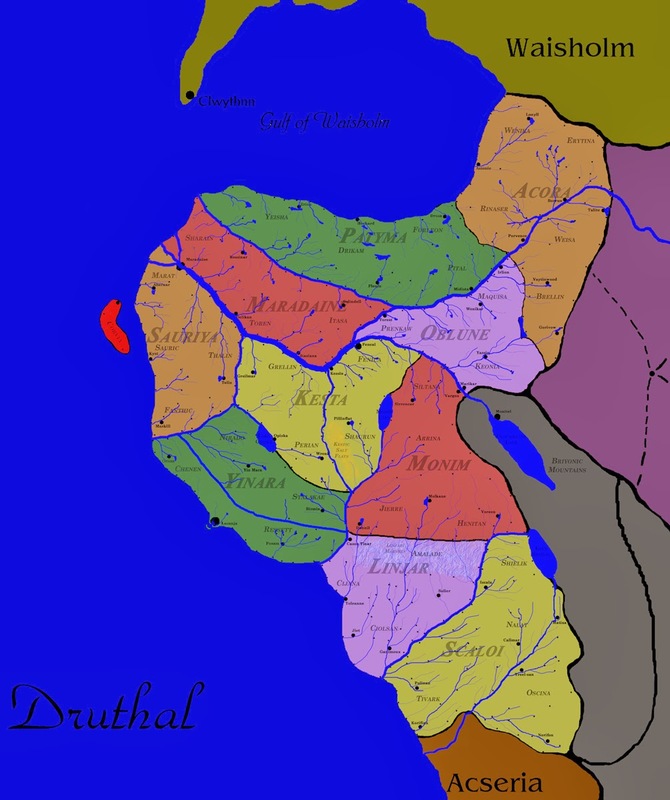 In the upcoming weeks, I'm going to do a little "culinary tour" of the Druth Archduchies, showing some of the macro-worldbuilding in food and culture.